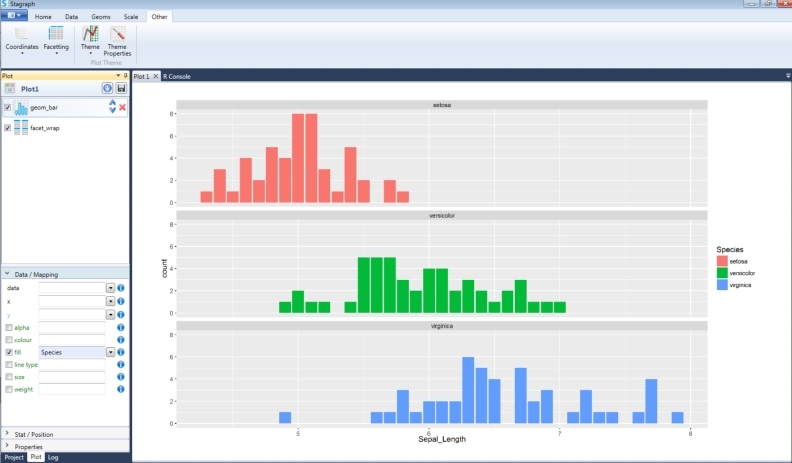 Stagraph is a complex software tool for data import - data wrangling - data visualization. Professional software for data engineers, data analysts, data scientists, statisticians and other "data professionals". 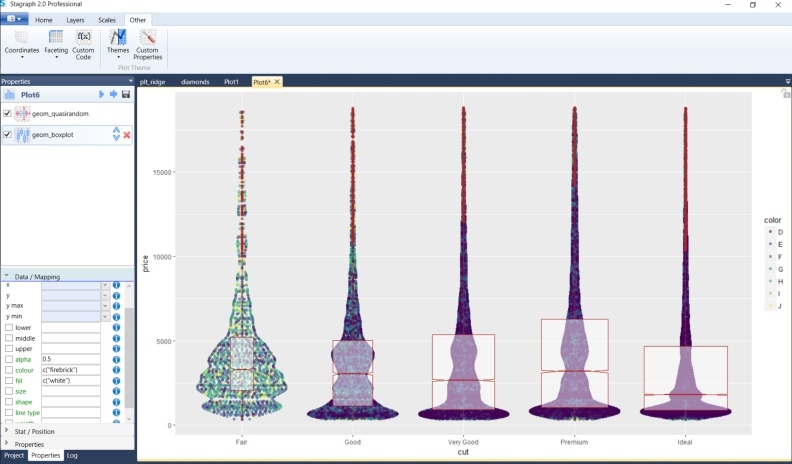 Power of up-to-date data science tools in a simple to use visual interface. Reduce the complexity of work with the data. With the Stagraph you can do all in one simple-to-use visual environment. 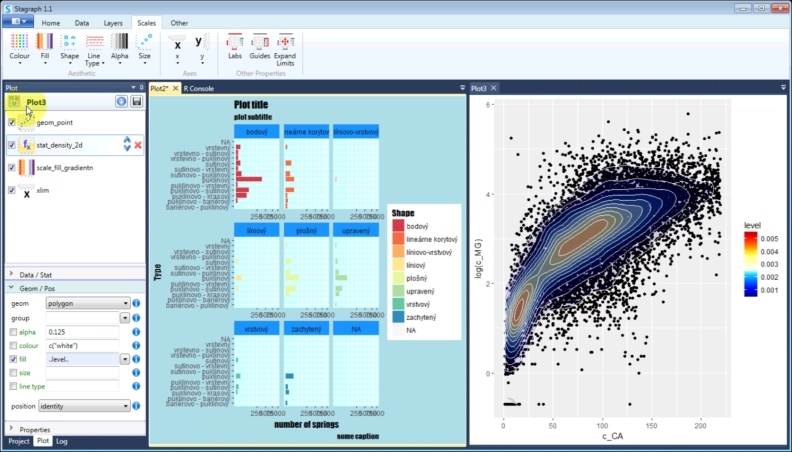 Power of data-science languages combined with simplicity of Excel in one tool. No time-consuming data transfer between several applications. 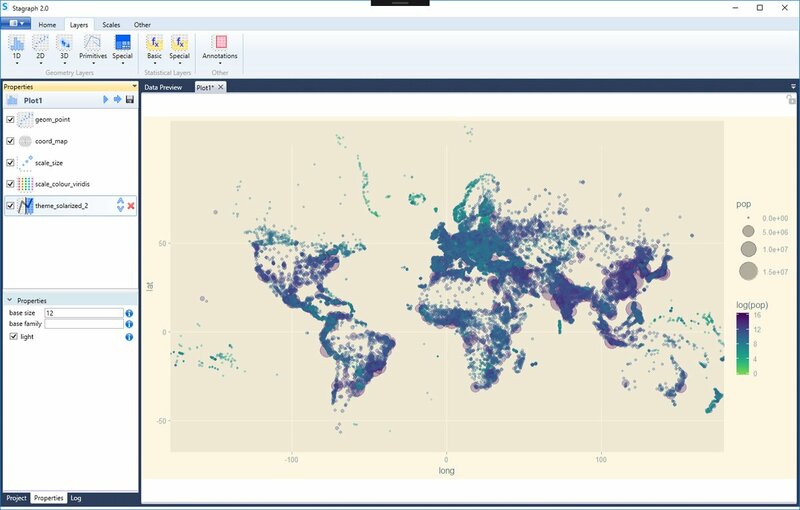 Use one environment for data import, data wrangling and data visualization. Make actionable insights in a few clicks, without coding. With the Stagraph you are not closed in one solution. Use your results outside the Stagraph environment. 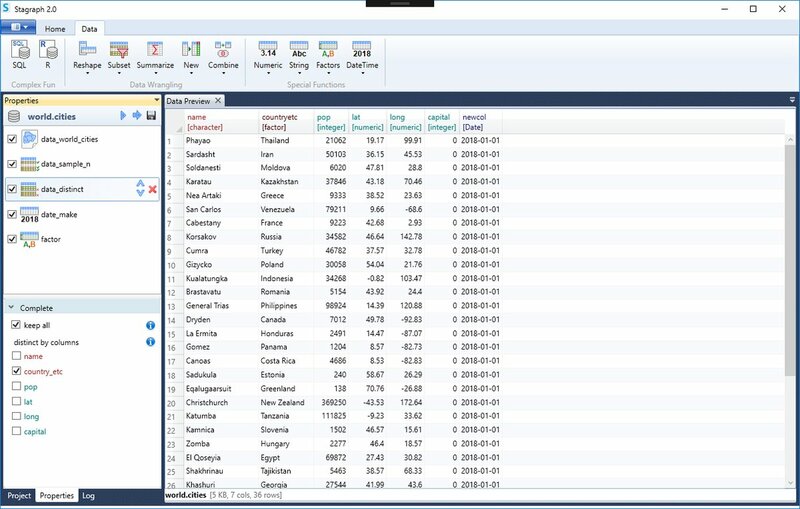 Offline or online, in interactive dashboards, reports or in other BI apps and R-based solutions. 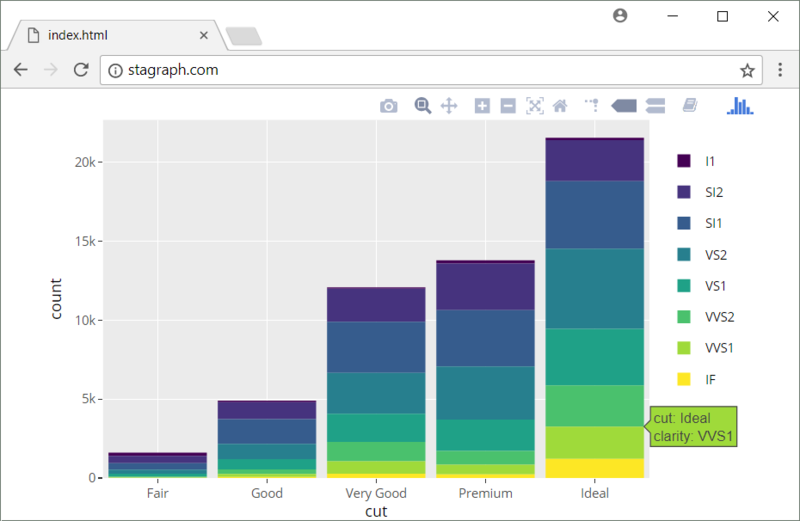 Stagraph is full-featured, professional tool for producing statistical graphics in publishing quality and visual exploration of large multidimensional data. Stagraph uses R runtime in the background. Use the tools and techniques of professional data scientists without programming. Stagraph is created for MS Windows OS (Vista or above). All the necessary is included in installation packages. Stagraph is released under the freemium license model. The basic version is freeware. Professional version unlocks the full Stagraph functionality. Complete documentation of Stagraph features. Use cases, FAQ, tips & tutorials. 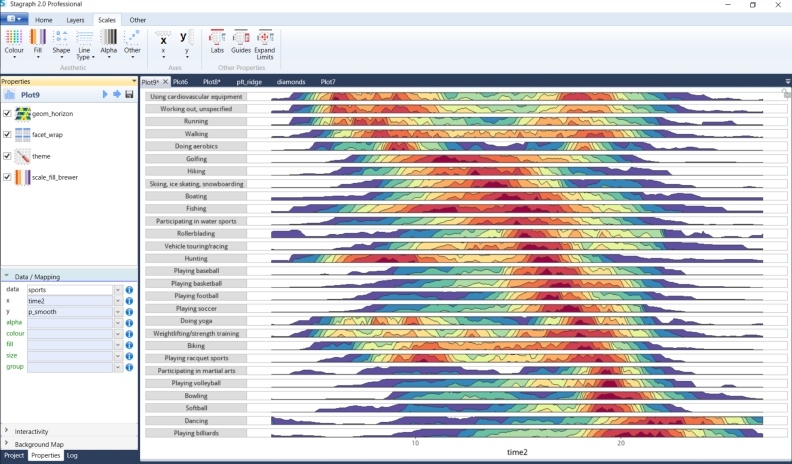 Stagraph forms a spinoff project of the HydroOffice software package that includes 17 independent tools and has been on the market for more than 13 years. These tools are installed and used on over 80,000 PCs around the world. 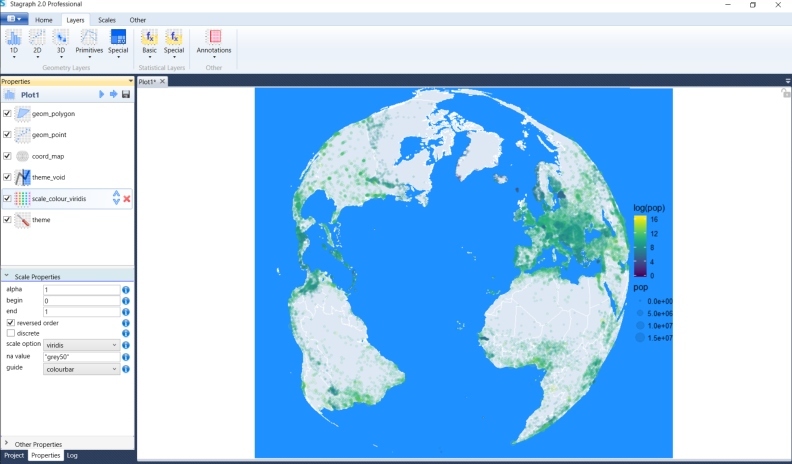 Users and customers are dominantly statisticians, data scientists, environmental engineers, spatial analysts, geoscientists, hydrologists, meteorologists, marketers and business analysts. 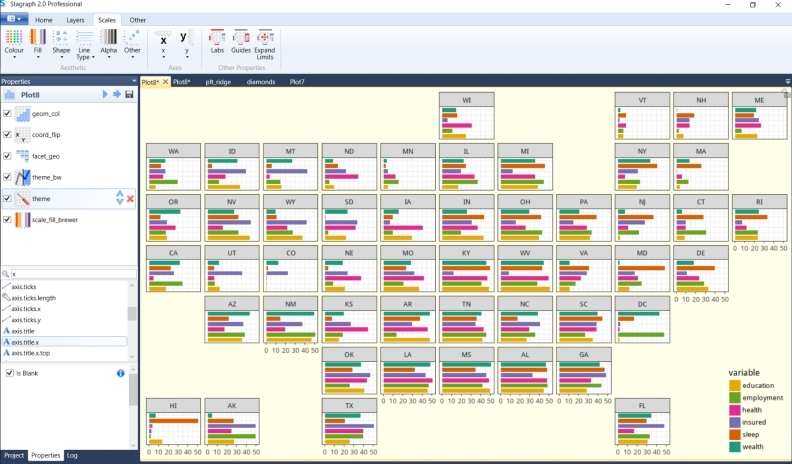 Simplicity - use a new approach for data analysis and visualization. Stability - 13 years of experience in geoscience and data science software development and support. Unlimited amount of data, no data-source restrictions. Full functionality for data import and data wrangling. Limited number of available geometries for your data visualizations. Always use the latest Stagraph version. Annual licensing model. 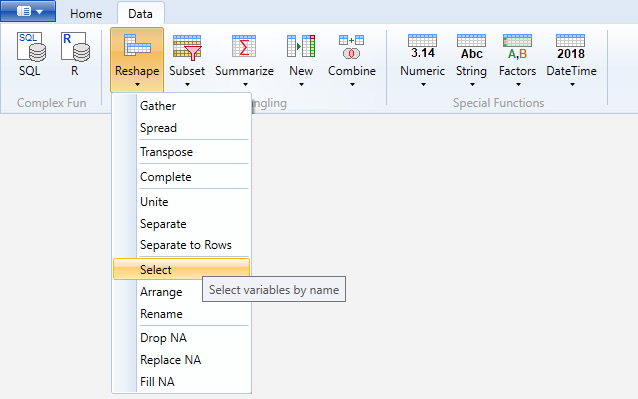 Unlock the full power of Stagraph functionality.